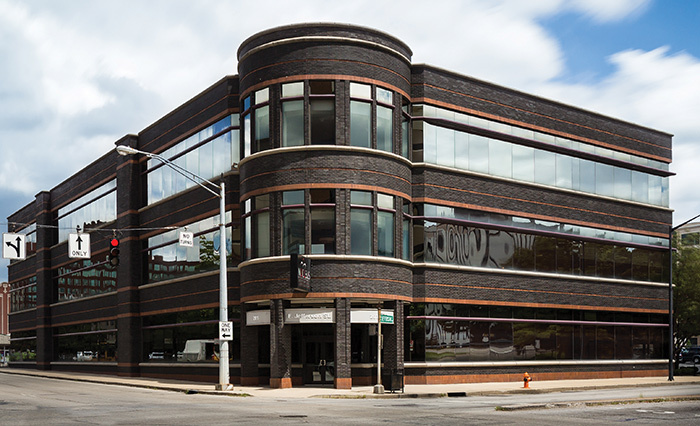 Coastal Cloud’s Louisville office in the Nucleus One Innovation Center is the center of its Midwest operations. More than 25,000 people and counting are employed in Greater Louisville’s business services cluster, according to Louisville Forward. The sector includes IT, accounting, call support centers, application development, cybersecurity, design and more. 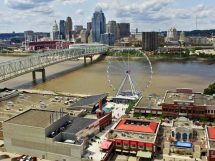 At the crossroads of the Midwest and the South, Greater Louisville is a natural fit for business service providers who need to touch a lot of people in all sectors quickly and efficiently. One example is Coastal Cloud, a nationwide firm that provides cloud technology platform expertise and organizational solutions. Coastal Cloud grew 40 percent last year alone, with much of that happening through the Florida-based company’s year-old Louisville office, said Erik Dunnigan, managing director of the Midwest region and nationwide public sector. Business services touch all sectors. For example, Coastal Cloud works with the mayor’s office, manufacturing, healthcare and life sciences sectors, and finds lots of demand for technology consulting. It does about 50 percent of its business analyzing processes, suggesting efficiency improvements and building the information technology systems to drive them. The goals is to shift transactional information services behind the scenes to make life more efficient and user friendly. Private equity firms use Coastal Cloud services to streamline and implement their own unique IT systems into the acquired companies. But ultimately most of the services get down to data. Cybersecurity is another major growth area in the business services sector. Cyberthreats are real and relentless, no matter the size of the operation. In a March 2018 story in The Lane Report, Chris Keller of Prospect-based Advanced Global Communications said it’s not a matter of “if” but “when” a company of any size it attacked. Cybersecurity is a growth area, as are traditional business services like accounting. Kentucky CPA firms expect 2018 to be a year of positive change and growth in demand for their services, partly due to federal Tax Cuts and Jobs Act reforms motivating clients to rethink their business and financial strategies. In Southern Indiana, the low cost of doing business and proximity to Louisville is a big draw for business service providers looking to locate their operations. In April 2018, United Collection Bureau Inc. announced it will lease space in Jeffersonville, Ind., for a new business process outsourcing and collection call center in the River Ridge Commerce Center. UCB, headquartered in Toledo, Ohio, will use the $2.48 million project to create more than 600 new jobs, with an average wage of $18.22 per hour by 2022. “We considered various sites for our new business process outsourcing and collection call center and found Jeffersonville, Ind., to be the location to best suit our current needs. This space will allow us to better serve our clients,” UCB Chief Operating Officer Michael Karosas said in a news release. Next door in New Albany, Ind., SmartBox, creator of an industry-leading patient attraction system designed to help dentists attract more patients, recently completed a $1 million expansion. The company, which currently employs about 80, plans to add about 100 new jobs. SmartBox has been featured on Inc.’s list of fastest growing private U.S. companies for two years. SmartBox currently serves more than 550 dentists on three continents. Also expanding is the international accounting and business services firm Ernst & Young LLP. EY’s expanded office in downtown Louisville officially opened in January 2018 and is designed for executive assistants and other shared professional functions. It was a $4.3 million investment for one of the world’s largest business services organizations. Ernst & Young provides assurance, tax, transaction and advisory services in 152 countries and employs 231,000 people. Greater Louisville also has a bevy of services for small businesses and startups. In February 2018, Kale & Flax launched the Wild Accelerator, a non-profit nine-week micro-accelerator for female founders in partnership with New2Lou. Kale & Flax is an experiential data and design firm in Louisville. Wild Accelerator is geared towards idea-stage and early-stage entrepreneurs looking to land initial investment capital, develop a working prototype or create a sound, focused go-to market strategy. Microfactory collaborative FirstBuild is a co-creation community backed by GE Appliances on the edge of the University of Louisville campus. It gives entrepreneurs and creators access to world-class engineering and design talent in order to bring new appliance products to market in new ways. FirstBuild has boosted Louisville’s reputation as a hot spot for entrepreneurial activity. Another big player in the business services scene is Interapt LLC, which opened its headquarters in Louisville last year. The tech development startup focuses on business innovation services and workforce development. Customers include Baptist Healthcare, Eurofins, Humana, Kindred Healthcare, YUM! Brands and General Electric. Many of these companies – big and small – also have a focus on giving back. But even good intentions need tech support, which is where MobileServe comes in. The mobile app helps companies streamline the efforts of all parties involved in volunteering and eases the administrative and human resources burdens surrounding corporate volunteerism. Reno-Weber is a Louisville native who worked as a consultant in Washington, D.C., before moving back to the area for work. MobileServe was initially built as a “very dinky attempt to solve our problems in engaging volunteers” at his job with the YMCA. At the time his co-founder Chris Head was getting his MBA at University of Louisville. “We went through an accelerator called Velocity and got so much client demand that we both mortgaged our houses and built a better tech product than we had initially,” Reno-Weber said. MobileServe went through Greater Louisville Inc.’s Sales Intensive program last year to help refine and clarify its message, network and raise money. They’ve raised more than $2 million, have 150 customers all over the country and are growing in 2018 from seven to 10 employees. Clients include major corporations, not-for-profits, schools and private individuals. Like many business services, MobileServe touches other sectors, including healthcare and aging care. Reno-Weber said the company is focusing some of its efforts on senior citizens and keeping them engaged in meaningful activities as a way to ease health concerns. Kentucky Employers’ Mutual Insurance (KEMI) is the largest provider of workers’ compensation insurance in Kentucky, providing coverage to more than 23,000 policyholders in all 120 counties of the state. We provide exceptional underwriting, safety education and claims services to our policyholders. This, combined with our competitive pricing, responsible financial management and a focus on innovation makes KEMI the provider of choice for Kentucky businesses. 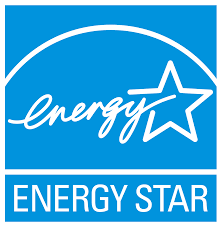 We are proud to have earned and maintained an “excellent” rating by A.M. Best. Coastal Cloud was founded in 2013 by two former IT consulting executives who set out to create a next-generation IT consulting company that was nimble, customer-focused and collaborative with its clients. With over 1,000 implementations, more than 350 clients across four different countries, and over 130 dedicated employees, Coastal Cloud is flourishing. Coastal Cloud is committed to partnering with its clients to help them move away from inflexible and costly IT systems and embrace a new generation of technology that is flexible, affordable, mobile and social. The company helps its clients plan, execute, design and deploy cloud-based software tailored to improve a complete range of enterprise operations, including customer relationship management (CRM), business workflow, internal & external communications, analytics, enterprise resource planning, and marketing. They are experts at program management, project execution, business analysis, data modeling, data migration, user training and the skills necessary for a successful transfer to next-generation technologies. 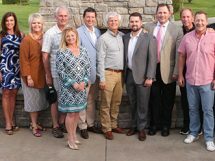 As the largest CPA firm in Kentucky, MCM CPAs & Advisors provides highly specialized tax, audit and advisory services to a broad range of clients and industries. Privately and publicly held businesses, not-for-profits, small businesses and individuals across the region and throughout the country receive personalized attention and local access from national-level talent. MCM combines the technical and industry expertise of larger firms without sacrificing the attention and personal service of a local firm. MCM has offices in Louisville and Lexington in Kentucky, as well as in Jeffersonville and Indianapolis, Ind., and Cincinnati.